Find the best value Ferry from Portsmouth to Santander offers. Spain is an exciting country full of beautiful sights and wonderful people. 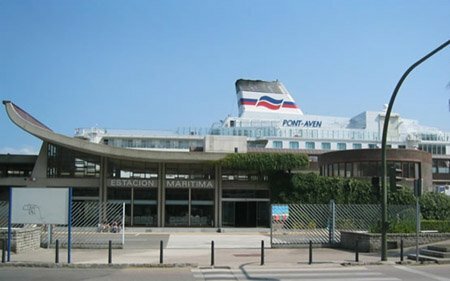 The Ferry Port, located in Santander, is a travel center for this part of Northern Spain, and they offer ferries and other forms of transportation throughout the entire day. If you’re looking to use Santander Ferry Port as a way to access other popular cities in Spain, you’ll find most of them within a few hours’ drive, including Barcelona (approx 700km), Madrid (about 400km) and Vigo (500km). There are various forms of transportation that leave the port and can get you to any of these locations and more. Upon arriving, you may want a bite to eat. You can head to La Bombi for some seafood, or you can go to the Restaurante Tatami to get some Japanese Cuisine. If you’re looking for tapas, you can head to Casa Lita in the middle of the city. If you’re looking to hang out with the locals and get a delicious pub meal, the Café Pub La Rana Verde is also a popular choice; it’s located near Canadio’s bar and pub district. No matter what type of food you may be craving, you have easy access to it all, right from the port. Santander is a unique city, and because it’s so easy to traverse, it will only take you a few minutes to get anywhere that you want to go. The commercial area has a variety of markets and outlets that you can enjoy, or you can see the historical sites and museums. If you go the other direction, you can check out El Sardinero, which has all of the tourist attractions and the beach resort area, complete with a casino and other forms of entertainment. There is always something to do in Santander, and the port is your access to all of it.